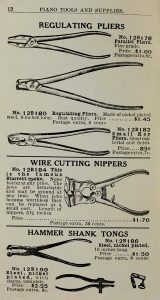 American Felt Co. catalogue, 1914. 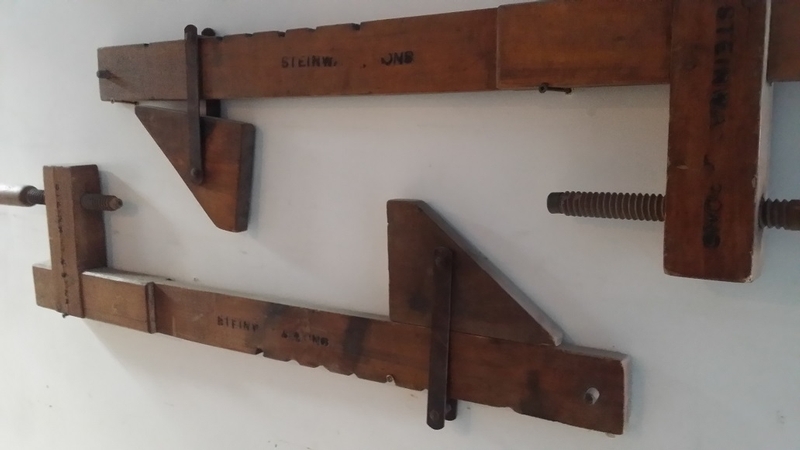 These clamps have been specifically identified as piano clamps in numerous period publications, including general woodworking publications. 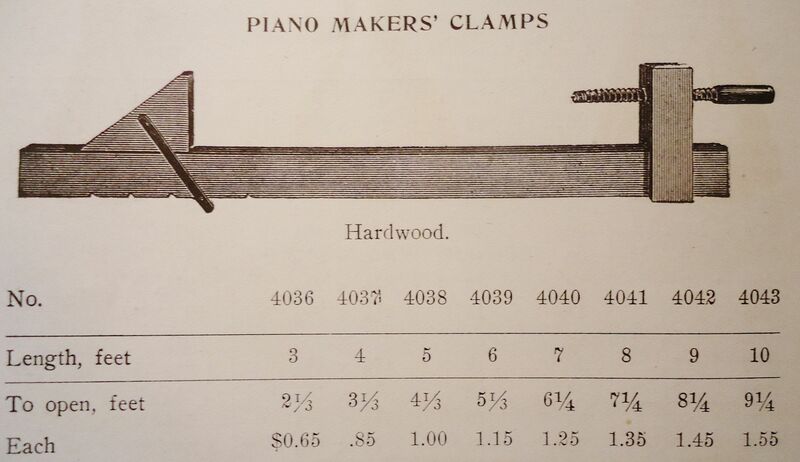 Ivory clamps for piano keys. H.S. & Co., Lang, and Hale. 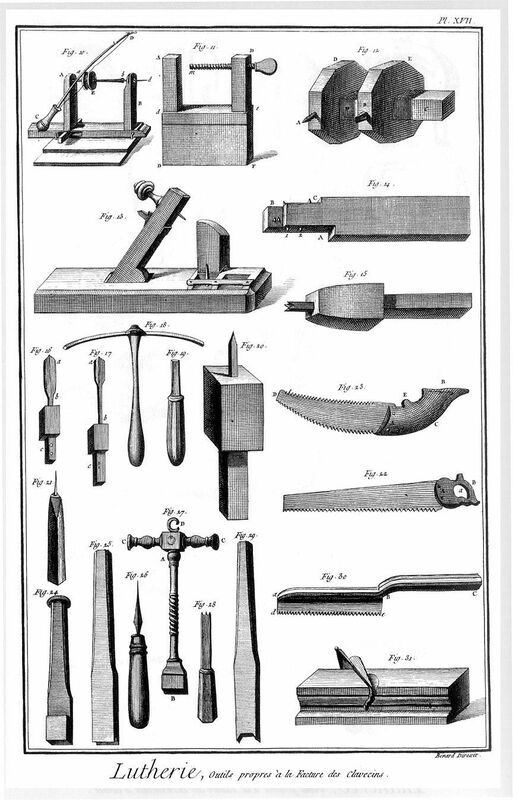 Diderot, vol.5, plate no. 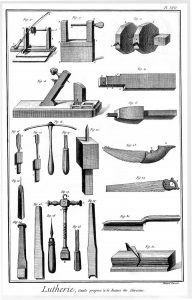 17: Music Instrument Making, Tools Used for the Manufacture of Harpsichords. 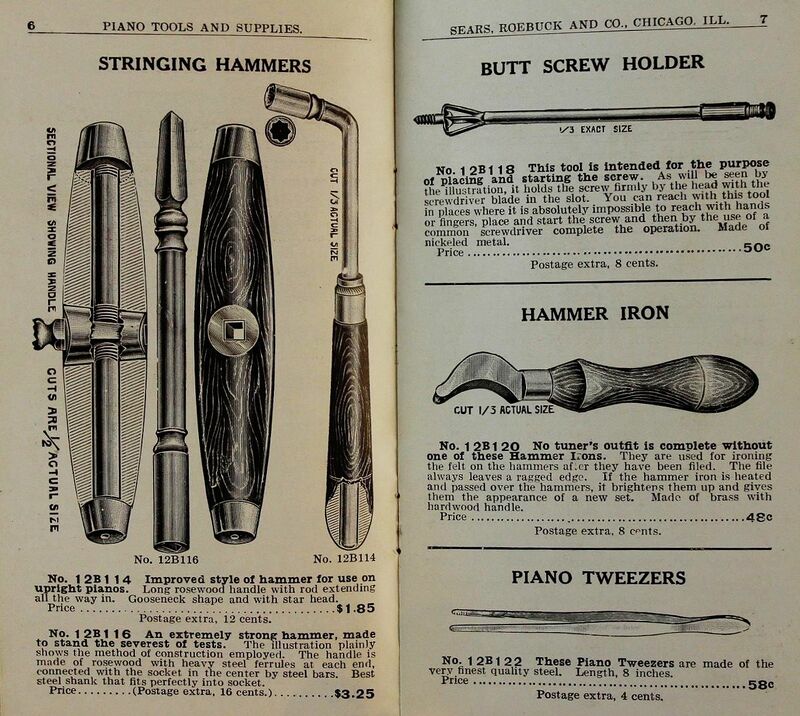 Sears & Roebuck “Piano Tools & Supplies Catalogue.” Excerpts, circa.1900 to 1910. 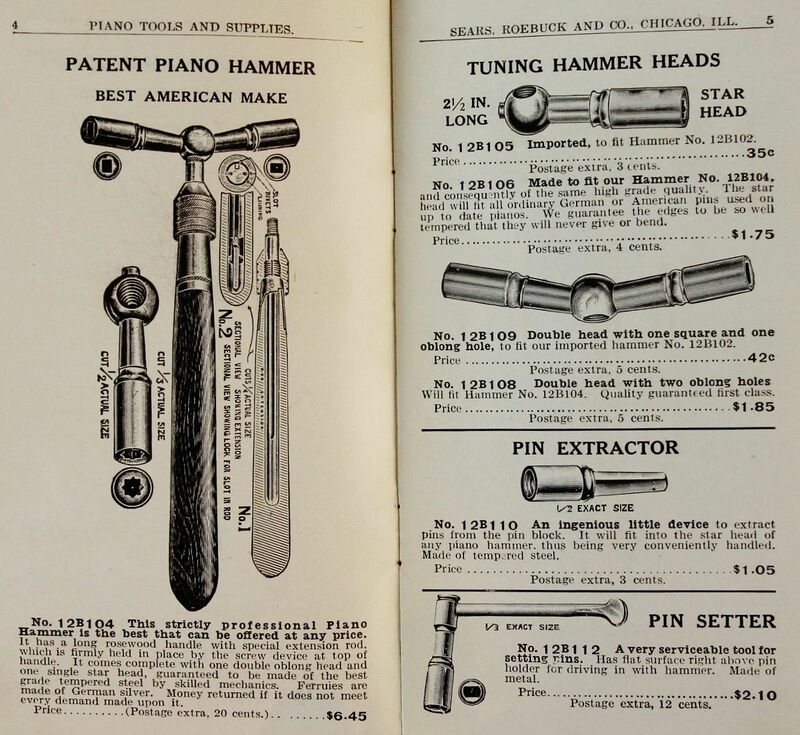 Sears & Roebuck “Piano Tools & Supplies Catalogue.” Excerpts. 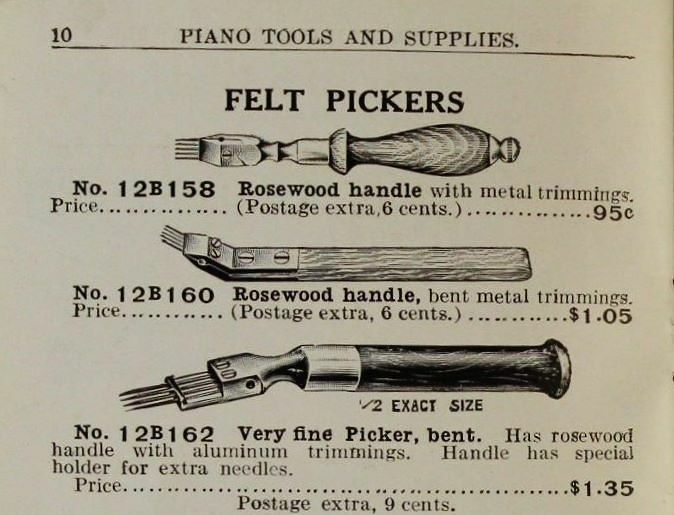 Howell Piano Factory, New Zealand, 1898. 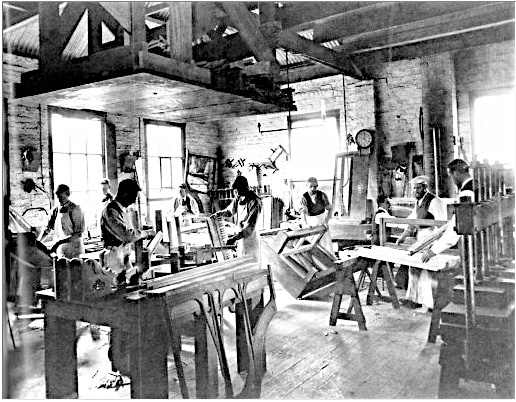 Here is a typical early photographic example of piano factory workers, at their work stations. While the products worked on are relatively apparent, its hard to ascertain precisely what the employees were actually doing. Otago Daily Times, April 28, 2012 –Geoff Adams. Archimedean drills found within a set of British piano tools. Not to be confused with bow drills, they produce a reciprocating or continuous motion by sliding the middle handpiece up and down. 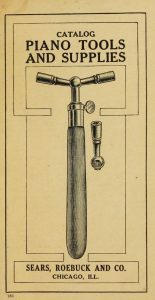 Archimedes, an ancient Greek scientist, invented a screw which pulls water from a lower body to a higher plane; the drill was actually a 19th century development. The larger drill, made by Hobbies, with rotating counterweights, has a clutch within the sliding center handle which disengages when it is lifted: this creates a continuous motion. 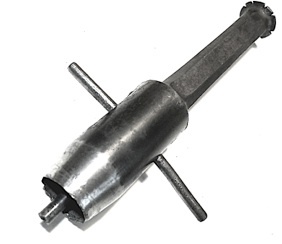 The smaller one does not have this feature, the drilling is reciprocal as in a bow drill. 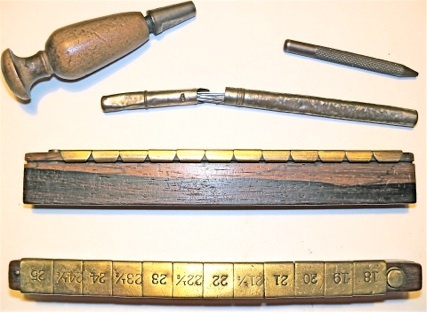 Small Archimedean drills are still frequently used by jewelers and small craft workers, where deliberate and precise drilling is controlled by hand. Demand is such that several sources provide new Archimedean drills. Trefz and Co, Philadelphia, c. early postwar. 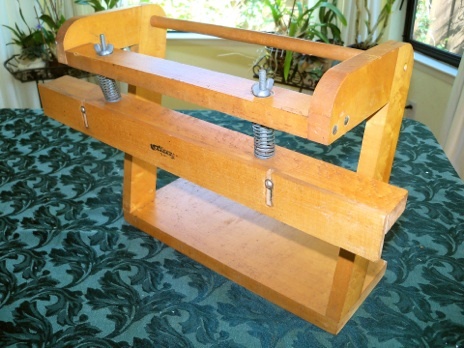 Regulating rack, used to recreate hammer escapement and drop positions with the action out of the piano. This example was made with bird’s-eye maple, which I’ve never seen in more recent examples of this tool. Close-up of the manufacturer’s imprint. 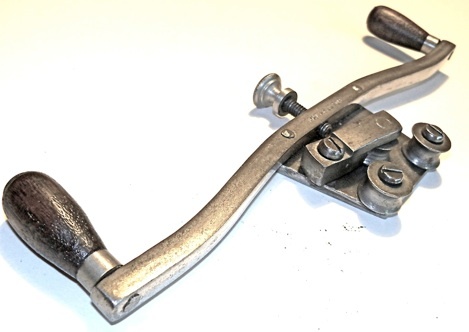 Hand vise, useful for holding very small parts in the field. 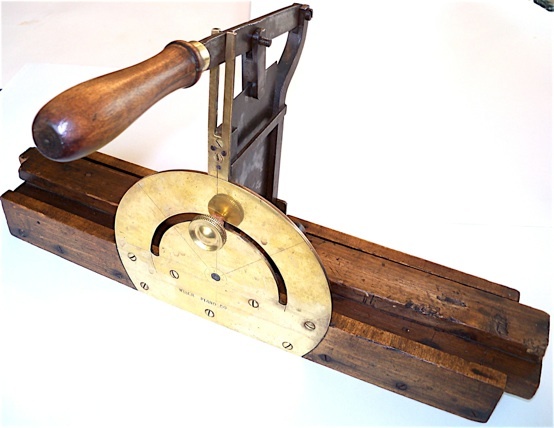 This example is very similar to the hand vise depicted in “L’Art De Accorder,” written by Montal in 1836, shown on the “Tuning Hammers” page. This was probably made in England. 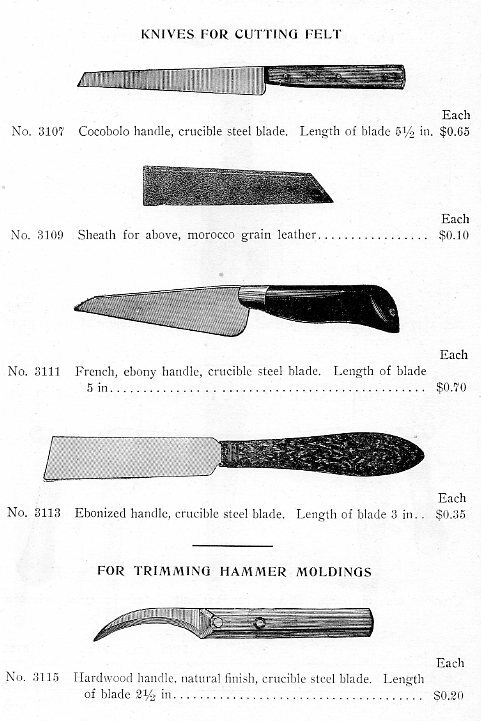 Hoover patent action screw holder. Patent for this screw holder. 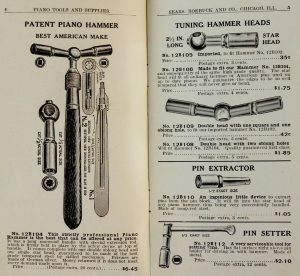 Franklin Hoover authored three piano tool patents in this website: this screw holder, a hammer extracting pliers, and a voicing pliers, similar to the later Hale voicing pliers. 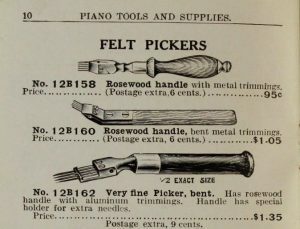 Other screw holders found in piano toolkits. Feeler for checking the glue joints of soundboard ribs (and other things). 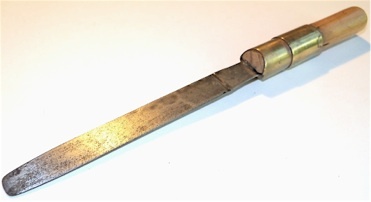 Spruce handle. 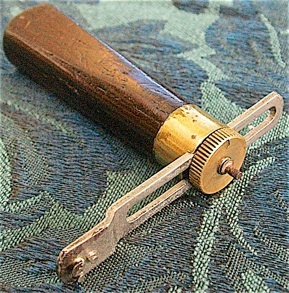 Soundboard shimming tool, very long, with a really narrow blade. 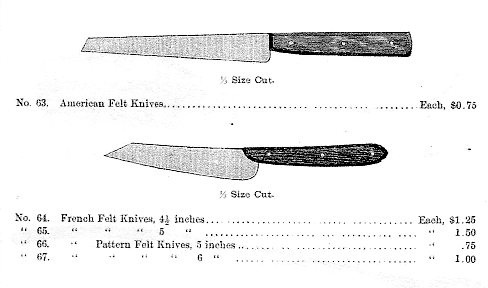 Typical felt knives. H. S. and Co. 1885. Felt knife, J. & J. Goddard c.1920. 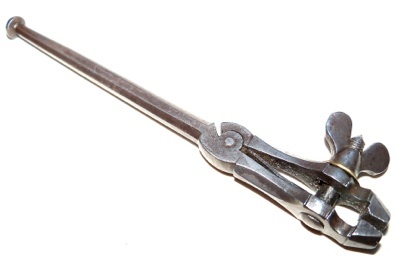 Punch for making your own front rail punchings. 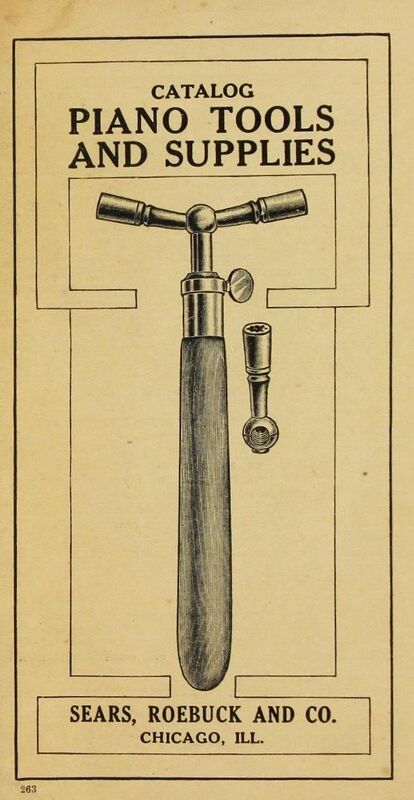 This tool was included in the 1885 H. S. catalog. 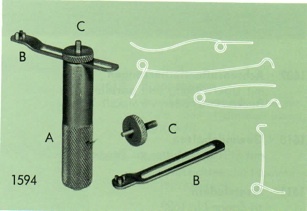 Center pin tools: broach holder/pin vise, pin punch, reamers and burnishers, center pin holders. 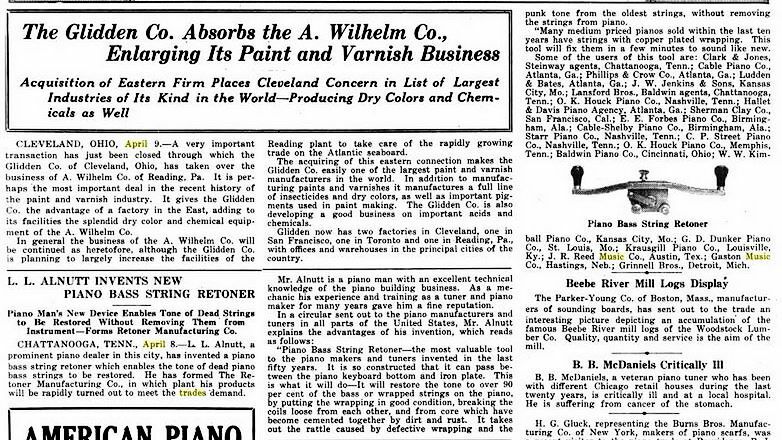 Rosewood was no longer used for center pin holders after the WWI era. 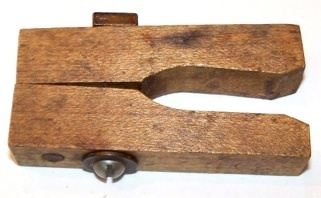 Another version of a center pin holder, c. 1905. 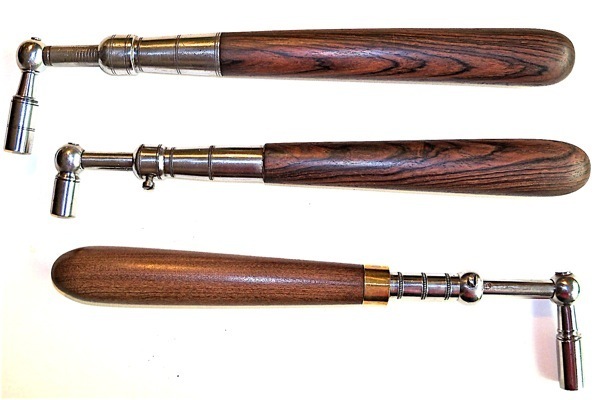 Tapered action center reamer, rosewood. 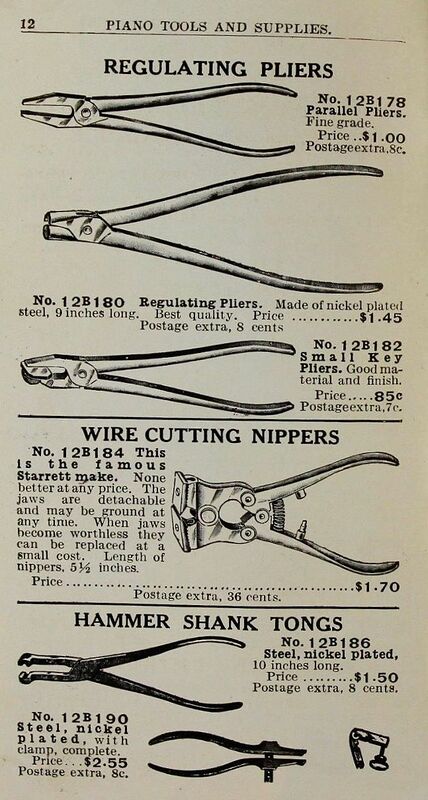 These and the center pin holders were no longer made of rosewood by 1910–1915. With the beaded extension shaft housings exposed, you can see how large the diameters actually are. 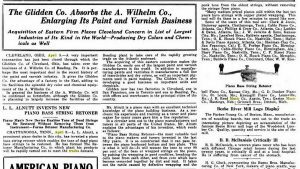 The degree to which hardwood extension handles are bored out is considerable, and any slight contraction of the wood dimensionally can lead to a cracked handle. This is why ~15% of these handles have a split, anywhere from 5 to 150 years later. 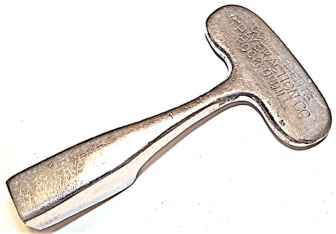 And it also makes the extension tuning hammer considerably more difficult to produce than fixed models. 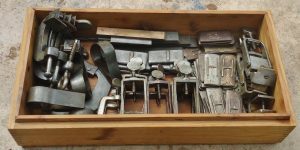 –Which I’ve experienced, having fitted a number of new handles to antique examples which had badly split wood. 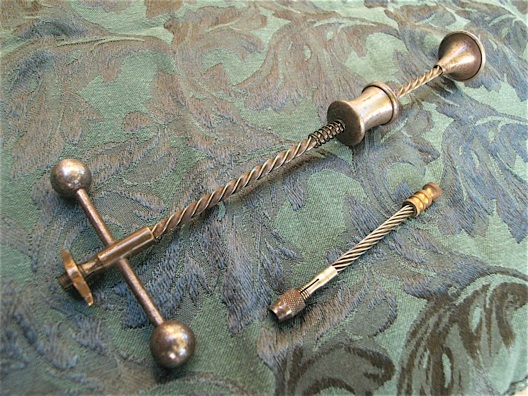 Three tuning hammers with set screws and detailed steel ferrules, with bead type patterns similar to those of the old C. H. Lang machine shop in Chicago. 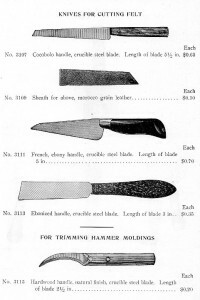 The hammer on the top has a tip marked American Felt Co., and the middle hammer, has an extremely short C. H. Lang, Chicago tip. 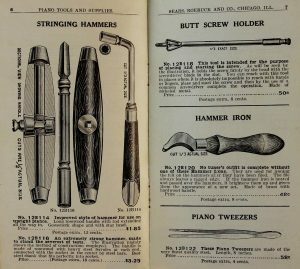 The hammer at the bottom was sold by Tuner’s Supply Co. and Tonk Bros. All three hammers have replacement handles which I turned on a lathe and then bored out (not unlike a woodwind instrument) for the internal tube with the extendible shaft inside. The top two are made with Indian rosewood, and the bottom one is made from brown ebony. 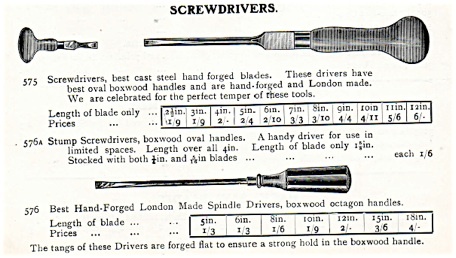 Sheffield screwdrivers with boxwood handles as shown in the 1920 J.& J. Goddard catalogue. Some of the best screwdrivers in the world. 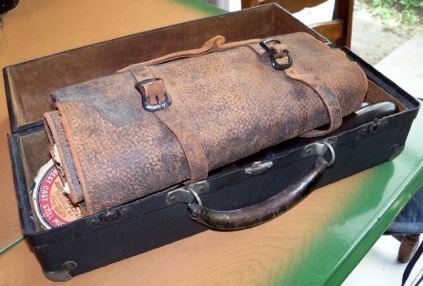 Tuner’s antique satchel and tool roll, made of Moroccan leather. 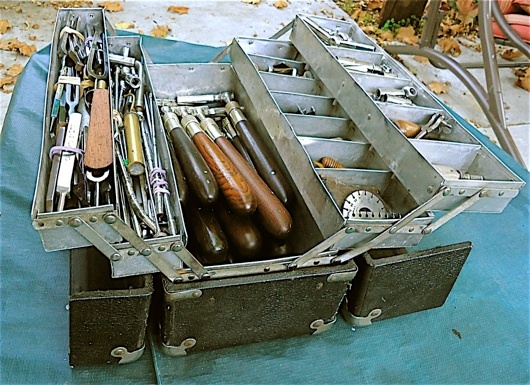 “The piano doctor.” My business partner, now deceased, used this to carry his tools. I tried it, but was underwhelmed by the lack of accessibility through the top opening and the lack of space. It was another example of form over function. Besides, I wouldn’t want to invite anyone to make more “piano doctor” jokes. “Gnome Brand” Tuners’ case. 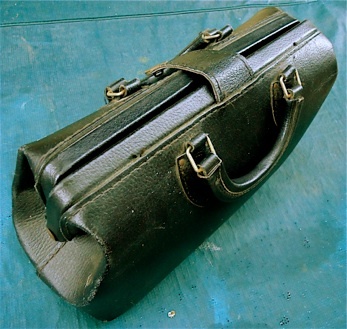 This was included in the 1925 H. S. catalogue, and when I started working on pianos at the end of the 1970s, this case was still available from Tuners Supply (Hale).